Singer songwriter Yota Kikuchi started playing guitar and copying J-pop music in 1999 leading to his first steps into the music world. Later in that same year he began to do lead vocals for the indies band Feelin groovy. After a few years with the band and an indies CD release, the members went their separate ways and thus began Yota Kikchi’s solo career as a singer songwriter. Since then he has released a Demo CD, was on the cover of an indies music magazine and even won an award from an event sponsored by Myspace. He has captured listeners with his soft, melodic vocals and tender lyrics. 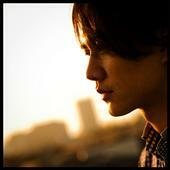 He has released the single “Futari” which available at his live gigs. He currently performing around the Kanto and Tokyo areas. Check the event calendar for next live show.